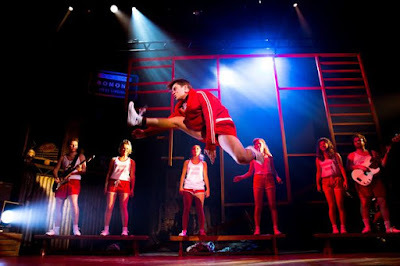 Last night I attended a performance of Footloose at the Tyne Theatre, a musical based on the hit film. 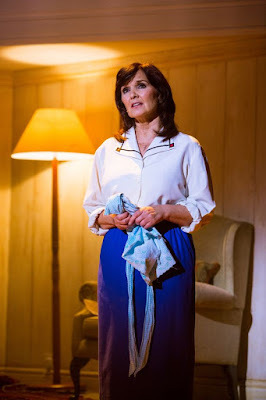 The story centres around a teenage boy and his mother, who have to relocate from Chicago to a small town across the other side of America, called Bomont, following his father walking out on them. The cast included Gareth Gates and Maureen Nolan. Unfortunately, due to illness, Gareth Gates, who was playing the role of Willard, was unable to perform, so the role was played by Luke Thornton. However, his performance was wonderful, and you would never have known he was the understudy! The cast was small, with most of the actors playing more than one role, and then playing instruments when they were not on stage! 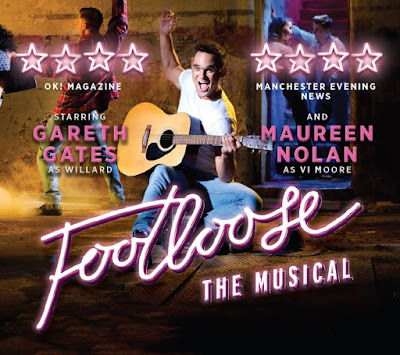 (Gareth Gates is hopefully returning to the stage from Thursday evening). The orchestra was a sole musician, who did a great job on his own! All of the hit songs from the film were included in the show, including Holding out for a Hero, Let's hear it for the Boy, and obviously, Footloose itself. All the cast had great voices, especially the main characters of Ren and Ariel - Hannah Price, who plays Ariel, has the most amazing voice, with a fantastic range. And special mention to Joanna Sawyer, who plays Rusty, who also has an incredible singing voice. The performance made multi-use of the large props, which was good as it was not distracting, and they blended in well. The story was very well acted out, and I will say again, the voices were great! Also, the dancing was marvellous, especially with all the fast songs - it must be exhausting keeping up! The performance kept our attention right to the end, and the final song - a medley of all of the big songs from the show - had everybody up on their feet dancing. I would definitely recommend seeing this show - we loved it! Footloose continues at Tyne Theatre & Opera House until Saturday 16th July. Disclosure - we received complimentary tickets in return for an honest review.